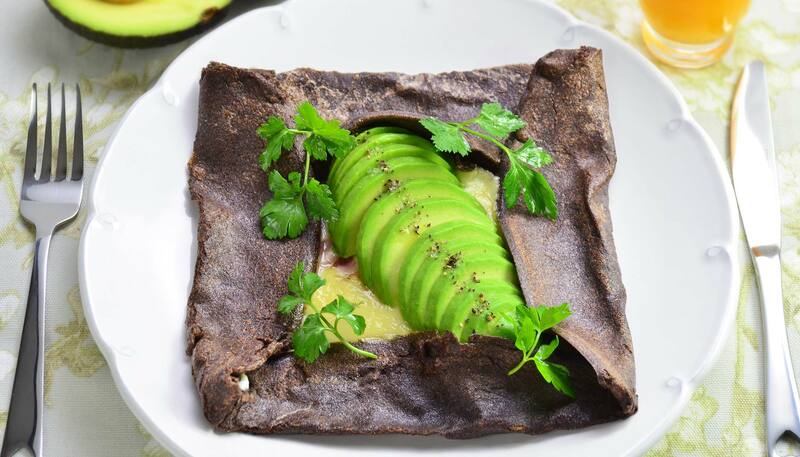 Here is a French crêpe made with savory buckwheat flour. 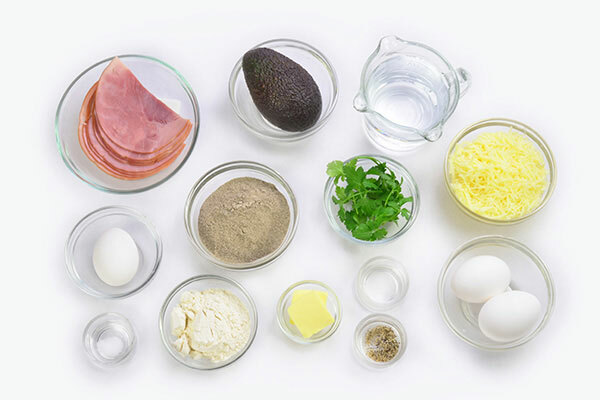 Switch the topping combinations to make your favorite breakfast galette or to enjoy it as a snack! 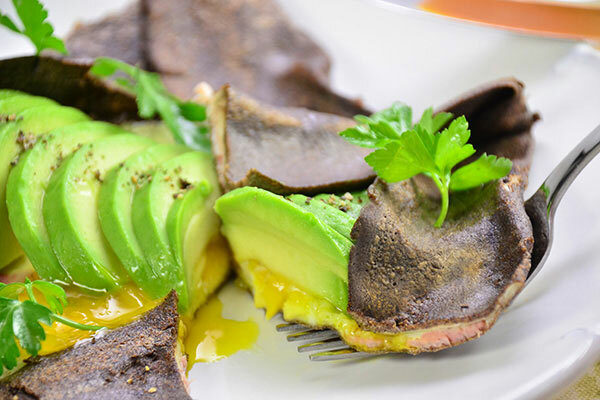 In a large bowl, whisk together all of the ingredients for the buckwheat crêpes. 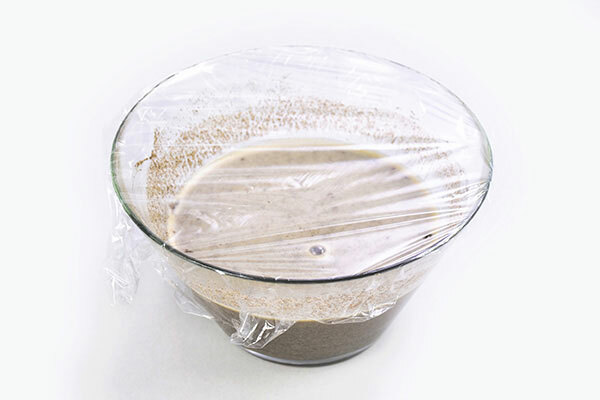 Cover and let sit for 30 minutes to one hour in room temperature. Check and adjust the batter to heavy cream like consistency. 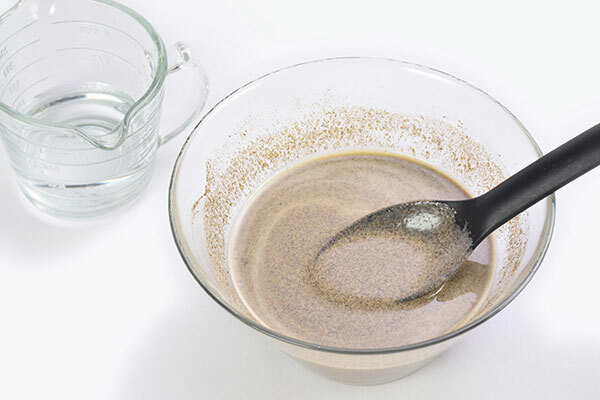 If necessary, whisk in a splash of water to adjust to the right consistency. 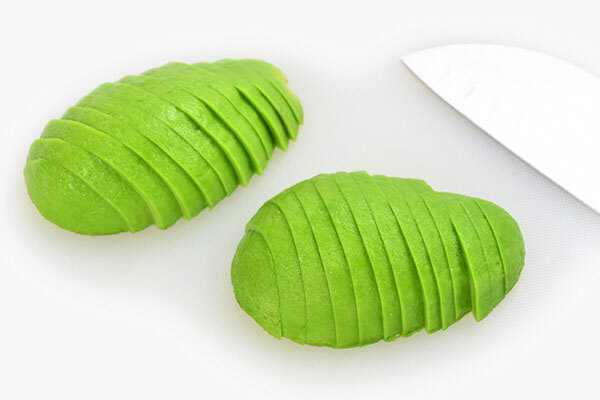 Slice avocado and set aside. 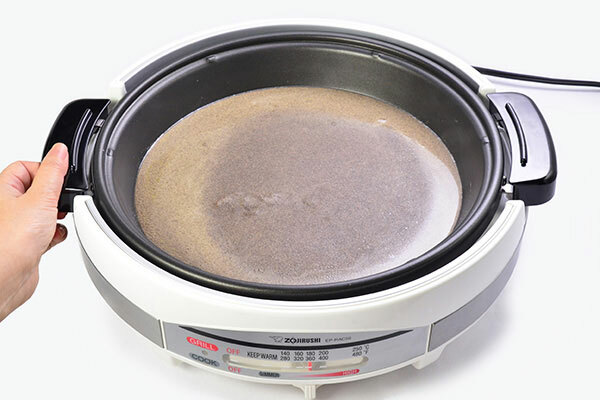 Make a crêpe. 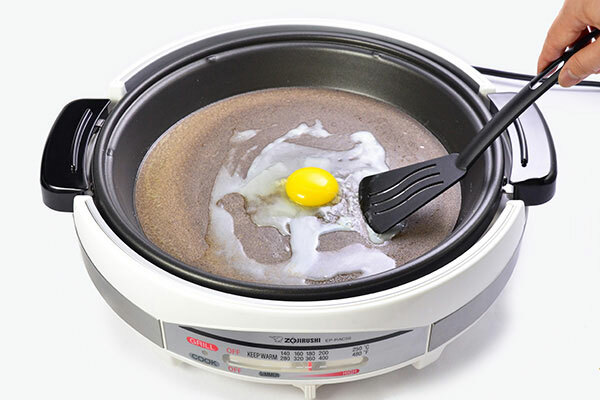 Heat Gourmet d'Expert® Electric Skillet (EP-RAC50) to 360°F. Melt half of the butter on the surface, pour half of the batter and tilt the flat plate to spread the batter evenly. 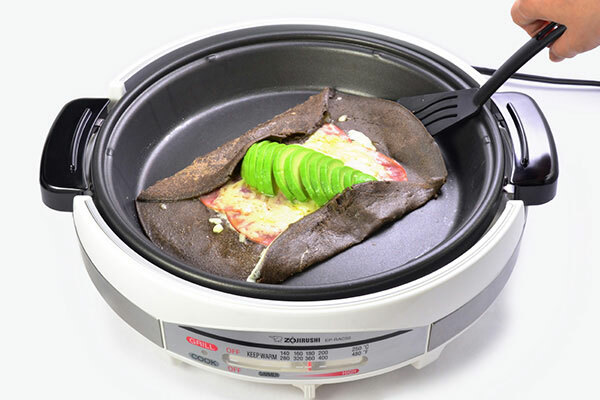 Crack one egg and place in the center of crêpe. While keeping the yolk in the center, gently spread the egg white over the crêpe with a spatula. 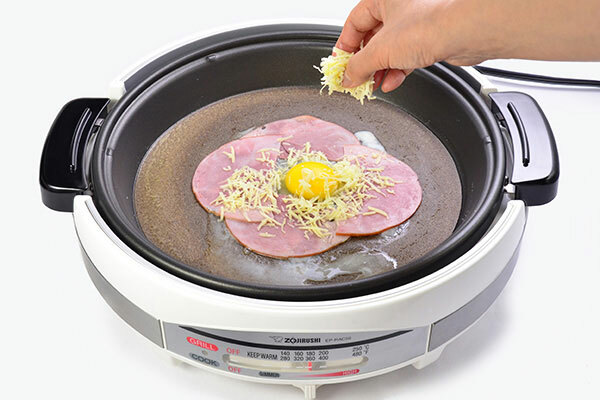 Place sliced ham around the egg yolk and sprinkle 1/2 cup of cheese. Cover the lid and cook until the egg white sets and cheese has melted - about 5 minutes or to your preferred doneness. 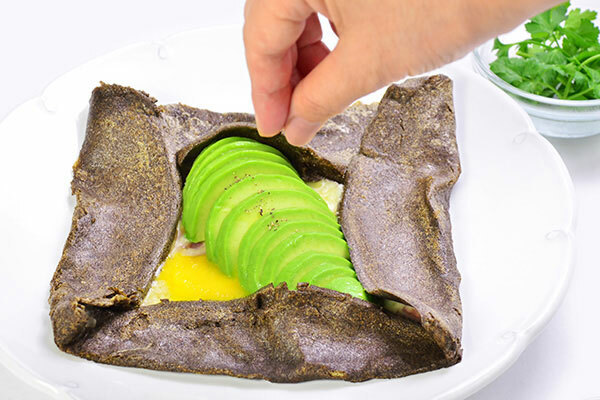 Place half of the avocado slices in the center and fold four edges of the crêpe toward the center to form a square. Sprinkle salt and pepper, garnish with parsley and serve while hot. Repeat steps 4 to 8 to make the second galette. Enjoy!